Encourage independence and greater control using a Zimmer frame with wheels. 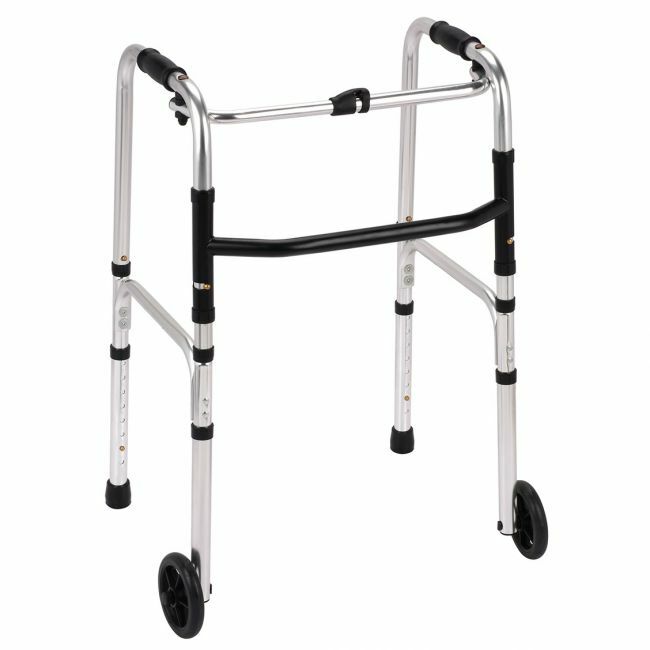 The folding walking frame with wheels offers the stability of a Zimmer frame, with the control of a more conventional rollator. At just 2.55kg, the aluminium tubing is light enough to lift with ease, yet will support users up to 18 stone.